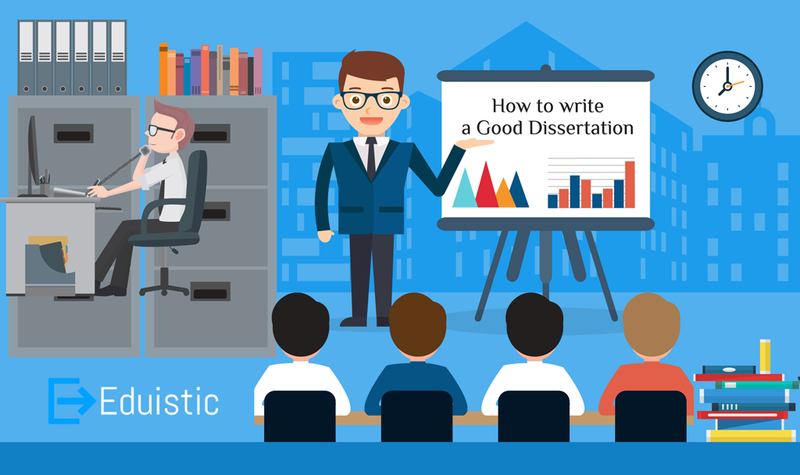 How to Write a Good Dissertation – Eduistic: Need Expert Help with your Studies? Writing a dissertation may seem like an overwhelming task to many. One gets nightmares when one thinks of writing a few hundred pages of work which will have to be submitted to distinguished scholars for their approval. Also, it involves a lot of research, both online and offline. Hence, fear needs to be overcome and perseverance should be practised when it comes to writing a dissertation. Be specific about the research that you have done. According to your discipline, check the necessary format of the title page. Though it might be a short section, but it must be written well because it is an important element of your work. It is, in essence, a summary of the entire research and should be able to represent the procedure of the research and its results and implications. Your abstract will be assessed by the examiners both as a part of the thesis as well as an independent document. It may be best to write it last, after being sure about what one is summarising. You can read acknowledgements in other dissertations in your field to get a fair idea about this section. You may mention people who have been very supportive or helpful. It will show the structure of the thesis. This chapter describes the present state of research in your discipline. It shows your awareness about your work in your field. Depending on the style of reporting suitable for your field, you may have to take decisions about the order of results or whether you begin with an overview or move on directly to the details of the results. You can state the implications of your study for research, theory and practice. State the main pints which have emerged and what are their implications for your field. They need to written according to the required referencing style. Devote enough time to your work. Present your thoughts in a structured manner. Leave time to proofread thoroughly.